The US has threatened Syria with “firm and appropriate measures” as the Syrian army reportedly prepares to retake a strategic province on the border with Jordan and the Israeli-occupied Golan Heights. According to reports, in a statement released on Friday, US State Department spokeswoman Heather Nauert expressed concerns about the upcoming operation in southwestern Dara’a province, claiming that it falls within a de-escalation zone in Syria. “As a guarantor of this de-escalation area with Russia and Jordan, the United States will take firm and appropriate measures in response to Assad regime violations,” she said. 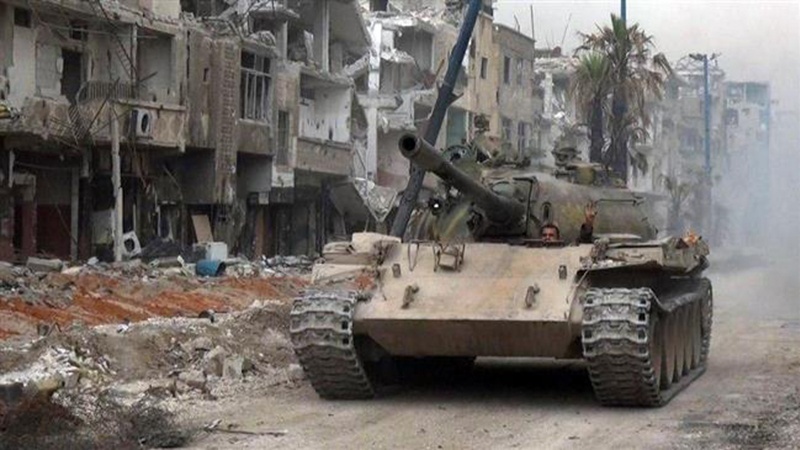 The warning came two days after the so-called Syrian Observatory for Human Rights (SOHR) reported that the Syrian troops were moving into Dara’a after liberating all remaining militant-held areas near the capital, Damascus. On Friday, Syrian state-run media reported that government aircraft had dropped leaflets in terrorist-controlled areas of Dara’a, urging foreign-backed militants s to disarm. One of the leaflets declares “the arrival of the Syrian Arab army’s soldiers,” according to SOHR, which is sympathetic to foreign-backed militants. The UK-based monitor also said the Syrian government had sent reinforcements to Dara’a following the completion of operations near Damascus. The liberation of Dara’a is highly important because it borders the occupied Golan Heights which Israel has used to treat wounded militants for years. The territory’s return to the Syrian government control would cut the much-reported collaboration between Israel and militants and deal a blow to Tel Aviv’s plans to annex the Golan Heights.